The Electronic Scale Ruler has become a standard instrument in the Graphics & Print industry where it's use makes accurate length measurements significantly easier. The hardened stainless steel guide has an inductive strip which provides the electronics with information on the momentary position of the measuring carriage. The guide runs on longitudinal ball bearings, free of play and wear. The coated, four lens optical system with 10x magnification factor makes it possible to move precisely to the measuring point. 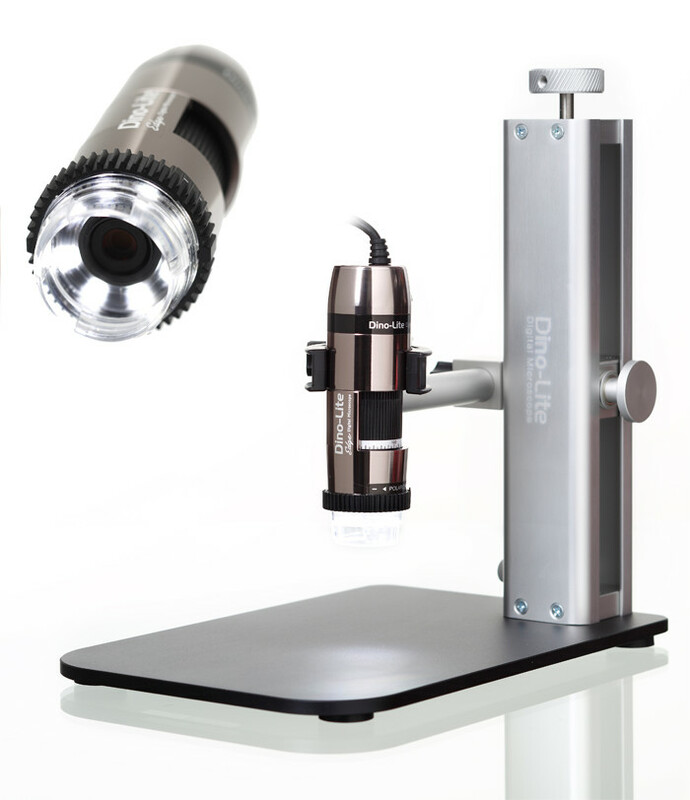 The magnifier has a fine focus for adjustment to your specific correction and is equipped with a reticule plate for exact positioning of the measuring carriage. The hard chrome vapour-coated graduations on this plate ensure precise readings. An ingenious parallax control ensures that the viewing angle is perpendicular to the lens. Two lateral positioning slides make parallel alignment of the scale with item being measured simple and quick. The easy-to-read display with six millimetre high characters shows a maximum resolution of 0.01 millimetres or 0.0005 inches. A fine adjustment is located immediately next to the display. The vertical arresting screw arrests a part of the measuring carriage. The horizontal positioning screw moves the carriage sensitively to the measuring point. The zero point for the measurement can then be set by pressing the reset button. After moving the carriage to the second measuring point the result can be read off on the display. The system has an RS232 interface which allows serial transfer of the values to a Windows computer using an RS232 to USB interface cable with optical coupling. Alternatively, a radio transfer system is also available for cable free data transfer. In both systems data can then be viewed in Excel. The ES version can also be fitted with the USB video camera. Moving to the measuring points does not require assuming a bent posture over the microscope, relieving your back and eyes. It is then possible to move to the measuring points using the reticule plate or the measuring software reference functions. Single or double cross-hairs, tolerance circles, multi-shape masks and registration marks are available. Single measurements in the camera's field of view can be made with the normal Metric measuring functions. For example, radiuses, angles, diameters, surfaces and distances can be determined. This allows compilation of comprehensive measurement documentation in combination with the data from the RS232 interface. Model range: Seven measuring lengths available from 180 to 1500 millimetres. Three types of reticule plates and various optical system complete the range. In addition to the reticule plate mentioned above, the PCB scale can be used exclusively for measuring hole intervals. Use of the standard 10x magnifier (ES version) is always required for the PCB scale. Download the Technical Data Sheet for more details. Delivery time is 3 weeks from receipt of order.